Disappointed when Sonic didn't say "Juice and jam time!" in the new online cartoon? Well, this is the project for you! 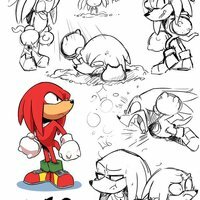 I need voices for Tails, Knuckles, and Eggman. If Mighty, Ray, or Amy get added later on, I'll post castings for them. *insert detail here* *insert detail here* Wow, CCC, look how detailed this is! 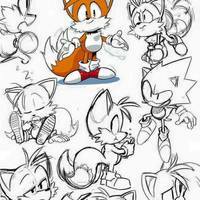 Tails is Sonic's best friend and partner in crime. Unlike his modern counterpart, he has courage and could easily save the little animals of South Island alone. But then who else is gonna be there when Sonic needs a shoulder to lean on? I can see him sounding like he did in the OVA, Sonic Adventure, or the old cartoons. Sonic, help me! Wait, I'm not that coward from another dimension, I can take him on all by myself! Do yu kno de wae? I can see him sounding like he did in the OVA, or Sonic Adventure. 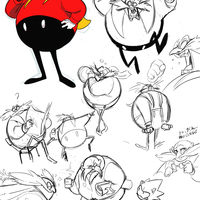 Dr. Ivo Robotnik is Sonic's life-long rival and mortal frenemy. I can see him sounding like he did in the OVA or Sonic Adventure. Ohohohohohohoho! I've got you now, Sonic!